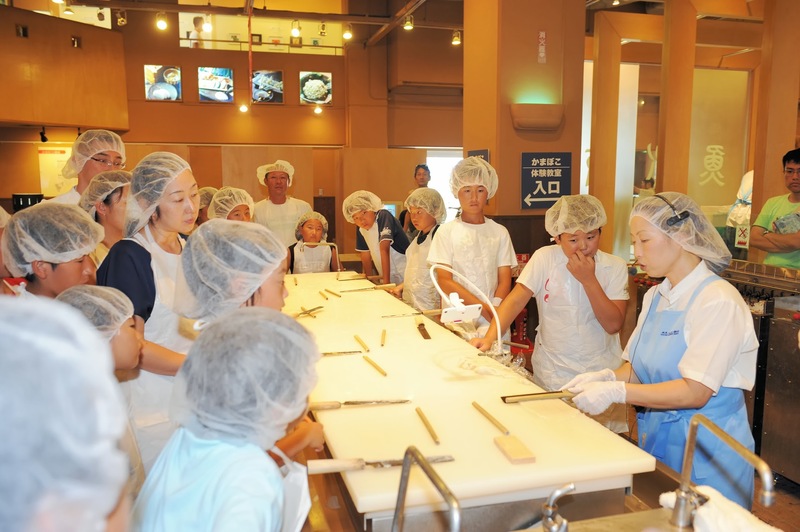 A visit to the Suzuhiro Kamaboko Village in Odawara will give you an opportunity to try your skills and hands at making this artful culinary treat. 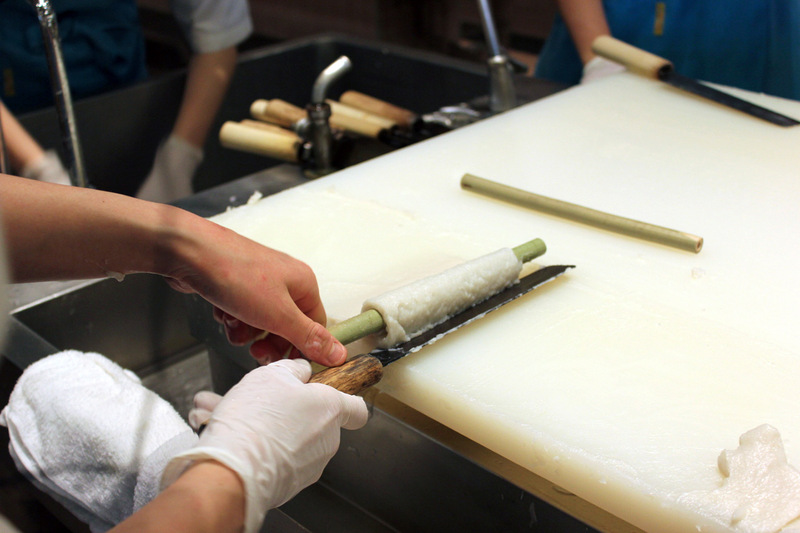 There are certified “Kamaboko Master” who have trained for years to make the perfect shape and texture of our Kamaboko. 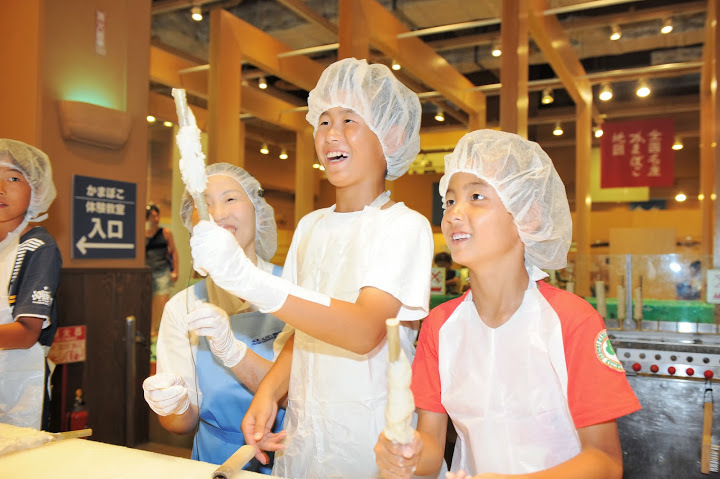 The “Kamaboko Masters” will take part in the Kamaboko making class and show you the technique and beauty to making a perfect Kamaboko. There are classes held everyday of the week and consist of making a Kamaboko on a small wood pallet and a Chikuwa on a bamboo stick. However only the Chikuwa making is available on Wednesdays because of the Kamaboko making schedule. There is no reservation needed, but classes often fill up quickly on the weekends, Saturday and Sunday, and it is a good idea to reserve a space ahead of time through the internet reservation platform or a call to the Kamaboko Museum. A walk in is also possible if there are open spaces. The classes often last about and hour and a half and will be hands on. The tools and instructions will be provided. The skill level required is very low and is suitable for children to enjoy as well. We start by having you wear an apron and hair net to ensure cleanliness and have you wash your hand thoroughly. The area you will be making your Kamaboko and Chikuwa will be designated ahead of time when you reserve a space in the experience. Walk up to the table and start your experience. The classes will be guided by trained staff and the explanation is well done using a projector and proximity to the staff. Enjoy your time and have fun comparing your creation with the professional`s. After you make your Kamaboko and Chikuwa the Suzuhiro staff will cook them for you. 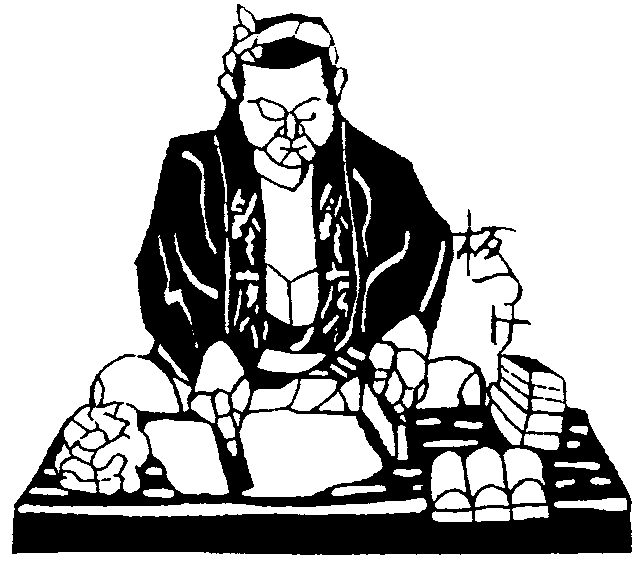 The Kamaboko will be steamed and require about an hour to be picked up after your class finishes. The Chikuwa will be grilled and take less then 20 minutes until you can enjoy your delicious creation. 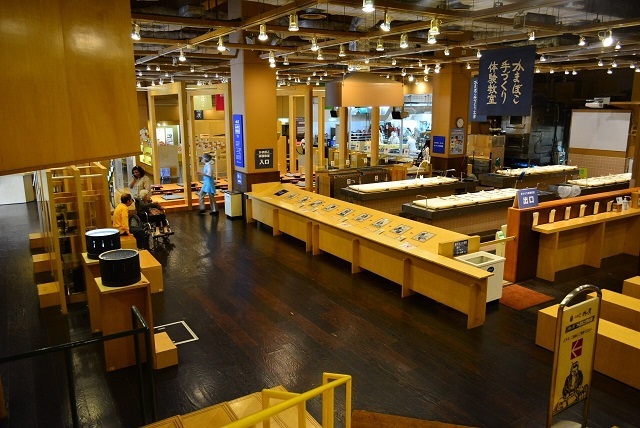 Have fun and enrich your visit to Japan by making a wonderful traditional Japanese food!